I came across an article in Fast Company "Could talking to a bot help you feel better?". 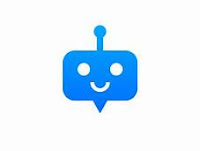 It provides a nice summary of the state of the art of chatbots, as well as their promise. Not much about the peril. One of the world’s first chatbots was a therapist. Built in 1964, the program, called ELIZA, was designed to mimic techniques from Rogerian psychotherapy where the therapist prompts the patient to examine their own thoughts and feelings. ELIZA had no memory or understanding of the conversation. It merely searched for a keyword in the last sentence typed in by its interlocutor and calculated an answer using a rule associated with the keyword. Nevertheless, many users became convinced that ELIZA understood them. “ELIZA created the most remarkable illusion of having understood in the minds of many people who conversed with it.” Users would often demand to be permitted to converse with the system in private. This phenomenon became known as the ELIZA effect. These days we’re surrounded by chatbots and voice analysis apps, a growing number of which are geared toward improving how we feel. Aimed at users who suffer from conditions like anxiety, depression, bipolar disorder, PTSD, or simply from stress, chatbots claim to be able to identify the mood or condition of the user, and in many cases can also offer advice or suggest therapeutic exercises. There is even a chatbot for substance use disorders. For all of the supposed benefits of mental health and counseling bots, critics have questioned their safety and point to a lack of regulation. Others have wondered if a reliance on bots and screens might deprive people of the benefits of real-life communication and connection. The concerns about connection coincide with a rise in loneliness. Recent research on the placebo effect suggests that the effect may actually be a biological response to an act of caring. A study explains that human beings “evolved in an environment which did not require them to distinguish between authentic and simulated relationships.” So when people interact with a non-human listener, they may feel as though they are dealing with a sentient being who cares about them. At the end of the article, the author notes: "In a society where people seek constant validation via social media, yet feel chronically lonely, can non-human listeners ease our sense of isolation and the problems that result from it, or could these listeners become the ultimate “online only” friend, addressing our basic human need for connection and caring in a way that ultimately leaves us even more alone?" 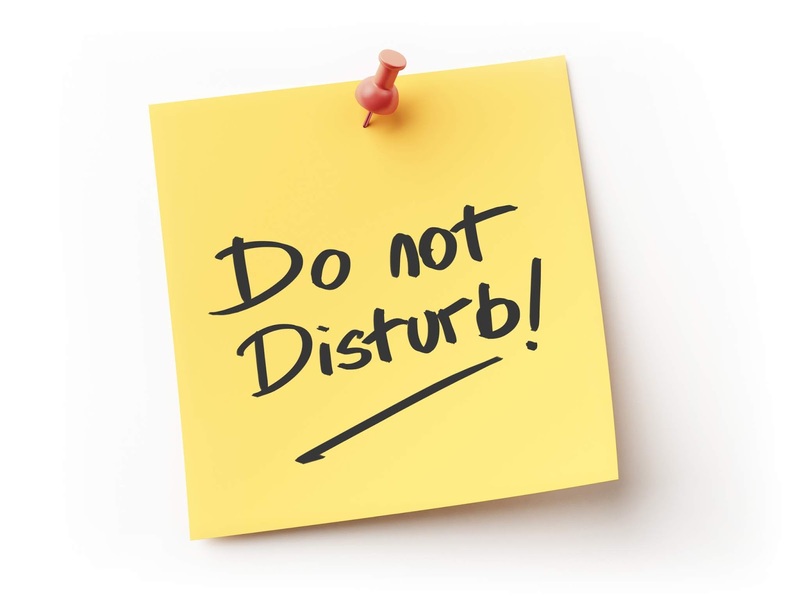 Countries around the world are banning bosses from texting and emailing workers after business hours and on weekends. Your relatives and friends need to be stopped from driving you crazy too. 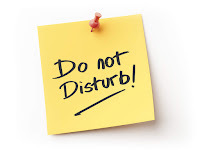 Thank you Whitson Gordon for explaining how to configure the Do Not Disturb mode to let calls through from certain people, at certain times, or only in case of emergency. Those are the crucial ones. It appears few email users ever consider whether it makes sense for everyone to receive their thoughts. 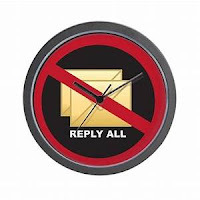 In a recent New York Times article, writer David Pogue asked his readers "How to Handle the Dreaded ‘Reply All Moment’"
1. Resend a corrected version of the same message four times. The flood of identical emails may minimize the amount of attention attracted by the first one. 2. Resort to deception. Blame a computer virus or a young child. 3. Enlist someone you have good rapport with to Reply All to your Reply All, and say something funny to cut the tension. Enter the address last. Compose the email, and only then go back and enter the address(es). This technique requires extra steps, but it guarantees you’ll never accidentally Reply to All. Give yourself an “Oh no!” window. In some email programs, you can set up a freakout delay. Your email will wait 60 seconds (or more) after you click Send, giving you a window in which to realize your gaffe and stop the message in its tracks. Other programs allow you to "unsend" the offending email. Like it or not, very soon medical and recreational cannabis will be the law of the land. The Cannabis Reporter podcast aims to provide information about this complex world through interviews with experts, policy makers and other individuals shaping the future of cannabis culture. Why do I hope for a federal law legalizing medical and recreational cannabis? The current legal situation is a mess - there are 50 states in the US and each of them has a different stance about legalization. Many states have decriminalized possession of small amounts. There is no standardization of product. It is difficult to conduct large scale research on the positives and potential issues raised by cannabis use. Chronic pain sufferers will tell you we have a dire need for alternatives to opiates and non steroidal inflammatory meds. TSA security officers do not search for marijuana. Good luck to corporations with work sites in different states with different cannabis regulations. What should be your policy when a terminally ill employee asks to use medical marijuana during a lunch break to manage nausea? We need one federal law in this land so that we can regulate cannabis just as we have regulated alcohol and tobacco use.